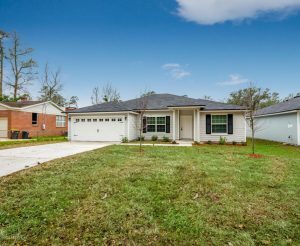 This weekend we have an open house featured on the Southside, Mandarin, and Orange Park. Please come by and tour these beautiful homes this weekend. We have wonderful agents available to assist you and answer any questions you may have. Brand New Construction, 4 bedroom 2 bathroom home with 2 car garage! Nice open floor plan, with durable vinyl floors throughout the home. Granite countertop in the kitchen with appliances to be added soon. This split bedroom floor plan features a Master bedroom which includes a walk in closet and dual sink vanity in the master bath. 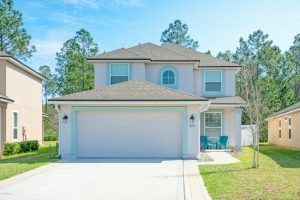 This home is conveniently located close to NAS Jacksonville, Florida State College, schools, downtown, shopping, dining, and entertainment venues. Here’s an opportunity for you to live in a beautiful and well maintained all brick pool home in Mandarin with upgrades galore. This 4/3.5 home features hardwood floors throughout with tile in the kitchen and bathrooms. 42” cabinets in the kitchen with granite counter tops and stainless steel appliances. Two separate dinning areas (formal dinning room and breakfast area) with two family rooms (1 with a fireplace). OH and don’t forget the bonus room that’s big enough for all your entertaining needs!! The completely renovated master bath will instantly give you that spa like feeling with a jetted tub and separate shower all enclosed with travertine tile. Surround sound speakers (both inside and outside), wall mounted TV and entertainment center all convey. This 2,973 sqft home , is better than new!! Brick home Located in a cul-de-sac . 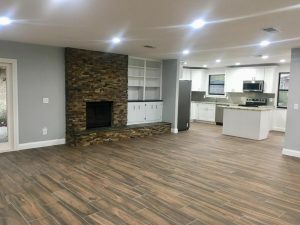 Completely redone ,new kitchen cabinets stone countertops Samsung stainless steel appliances with an open floor to oversize living room that comes with a wood burning fireplace . New bathrooms .Guest suite , 2 walking closets in the master bedroom with a sliding door that opens to the patio.New A/C and water heater .office can be converted back to a 4th bedroom. a oversized entertaining/game room .Call Now for a showing! Nicely maintained home in desirable neighborhood backs up to nature preserve. 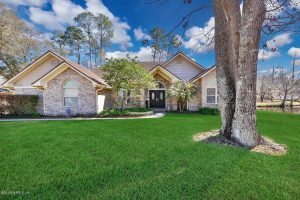 This house has tons of upgrades from the luxury vinyl plank floors throughout the main floor, granite counter tops in the kitchen, quartz counters in master-bath to the salt water pool and enclosure in the backyard. Built in shelves and work bench in garage. Driveway is widened and extended, lot is set 4 feet further back then any other lot in the neighborhood. This is a must see for your pickiest buyers!